In the summer of 2010 architecture is witnessing a situation best described as complex, confusing and uncertain. In the midst of the quest for survival, meaning and balanced choice, this uncertainty is also source of innovation and creation, a source for curiosity, over the fear, protectionism, conformism and repetition. As guest-editors MVRDV and The Why Factory exploited exactly this momentum as an opportunity for a densified process of creating, questioning and gathering. This lead to a wide spectrum of themes regarding the production of architecture and urbanism. A monothematic approach would have been limiting since everything is inter-connected. This inter-connectivity itself describes the relations, the complexity, the richness, the differentiation and the surprises. This moves from mono-thematic to multi-thematic. A celebration and further acceleration of diversity: from multi-disciplinary to maxi-disciplinary. The collaborators of MVRDV and The Why Factory brainstormed with as a result an explosion of thoughts, ideas, opinions and voices which have been turned into 70 articles by a group of international writers, well-known and less known. 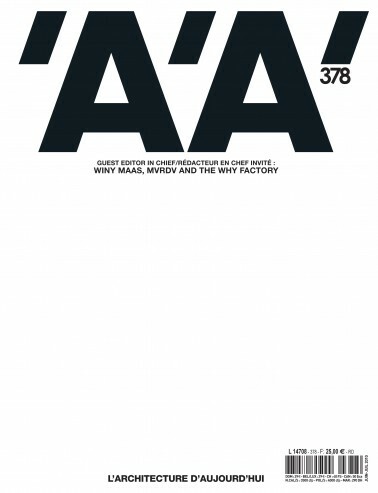 The edition proposes denser contents compared to ‘A’A’s regular editions, connected by a Facebook-like technique.